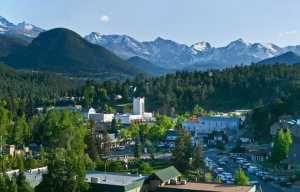 This is an article about Estes Park, Colorado. But for me, it really begins in New York City in the year 2004. That was the year I went on my first tour with my band. By early 2007, we were doing cross-country tours over a month long, and going out on the road three or four times a year. My touring life has only just recently settled down, but it’s not the stuff you easily forget. 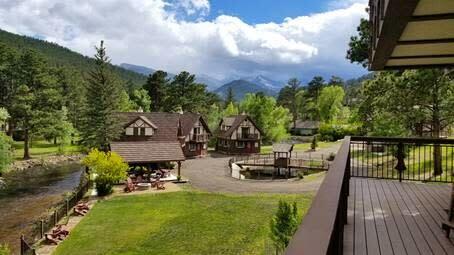 So what does that have to do with unique lodgings in Estes Park, Colorado? Perspective. Over the past decade, I’ve done a ton of traveling, but instead of staying in “traditional” accommodations like hotels, I’ve had to do a lot of sleeping on friends’ floors, sleeping on strangers’ floors, sleeping on buses, sleeping in vans, and (when we’ve had a very, very good night), sleeping in really horrible, cheap motels. In other words, the life of an underground musician is not exactly a rich one, but it does help you appreciate things. When you don’t have to crash on someone’s floor, you shouldn’t; when you can treat yourself, treat yourself. 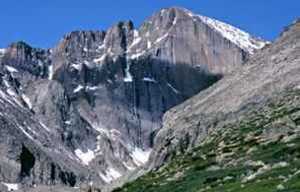 So between that, and the fact that I got lucky enough to marry a brilliant woman who loves the outdoors (and who has passed that love onto our two children), Estes Park makes for a fantastic destination with spectacular scenery, endless activities, and lodging that goes beyond the average destination. 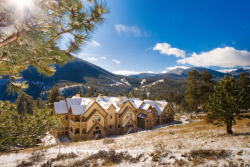 Here are just a few places to consider when you’re planning an Estes Park escape, from luxurious resorts to rustic cabins. The term “family friendly” gets thrown around a lot. But the YMCA of the Rockies might as well be the dictionary definition. 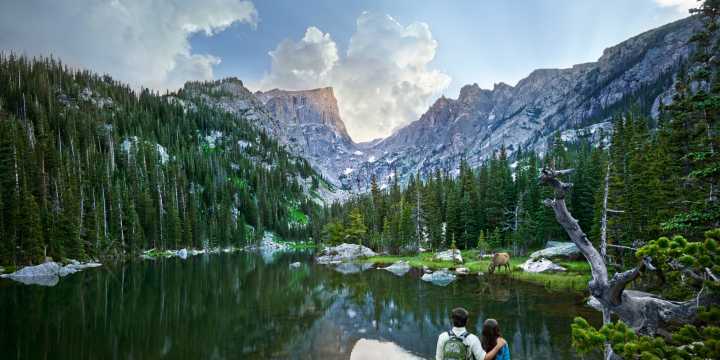 Book a cabin for the whole family here, and you’ll have very little reason to even leave the grounds (though the neighboring Rocky Mountain National Park is one BIG reason). Activities include archery, sports, campfires, fishing, snowshoeing, and, well, almost any other nature-based fun you can possibly think of. 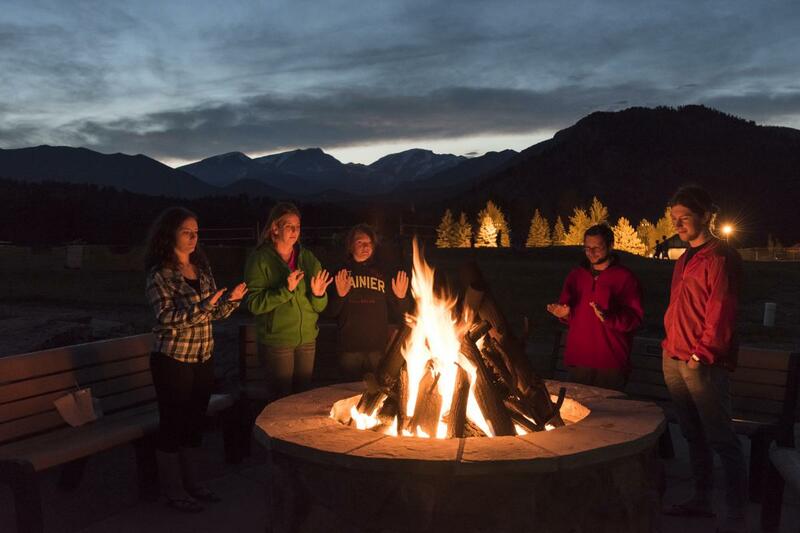 The YMCA of the Rockies also has a spacious lodge that offers up good food and opportunities to socialize with other adventurous families. Famous as the inspiration for the hotel in Stephen King’s The Shining, the Stanley Hotel is anything but frightening. Rather, it’s a grand, luxurious hotel in a stunning setting. It offers fun year-round activities such as concerts, tours, and even dinner theatre. But my favorite thing to do is visit the Cascades Whiskey Bar & Lounge, the Stanley’s whiskey-centric bar, to enjoy what may well be the best Old Fashioned I have ever tasted. Get a classic bed and breakfast experience in the grandeur of the Rocky Mountains. That’s what the Baldpate Inn offers (as well as cabins). Open each year from Memorial Day weekend until mid-October, it’s a great spot for a romantic getaway, but also makes for an ideal home base if you’re in the area for mountain adventures. And don’t miss the Inn’s incredible, one-of-a-kind Key Museum – home to 20,000 keys, from such far-flung locales as Westminster Abbey and Mozart’s wine cellar. Who knew keys could be so fascinating? If you’re going to visit the Rocky Mountains, you may reasonably want to stay in a place that screams: MOUNTAIN LODGE. Woodlands on Fall River is that spot. Overlooking the sparkling waters of The Fall River, this spot combines all of the woodsy decor and features of the mountain lodge of your dreams. Woodlands on Fall River also offers full suites so you can really spread out. Perhaps you like the idea of a mountain cabin of your own, but want a little something extra. The Evergreens on Fall River redefines “cabin” accommodations as something more upscale and slightly indulgent than what you may be thinking when you hear the word “cabin,” thanks to gas fireplaces, private decks and couples private spas, all with river views. Or maybe you’re a traditionalist in search of a slightly more authentic mountain experience. 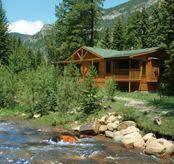 If so, you’ll want to make Rustic River Cabins your first call. But just because these are your traditional cabins doesn’t mean they are any less comfortable, clean, or enjoyable. 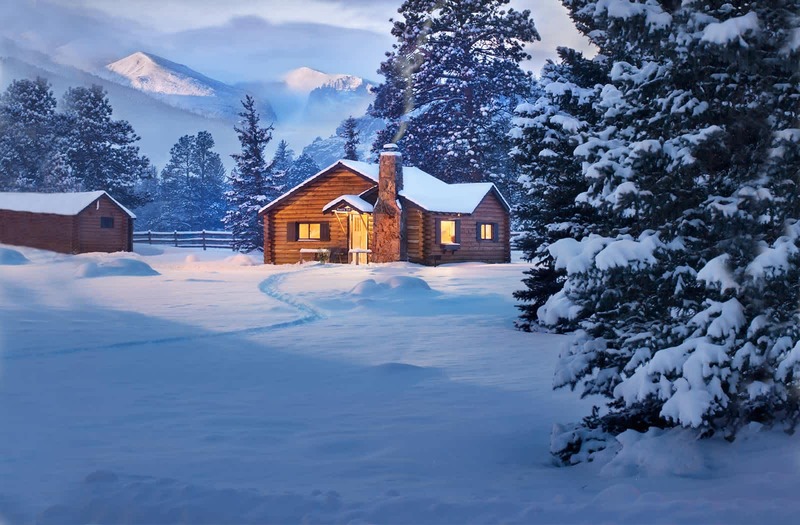 And even if they are traditional, the stunning setting still sets them apart from most mountain cabins you’ve seen. Estes Park is great for romantic jaunts, but it also makes for an awesome spot to hold a larger family gathering or reunion with old friends. Regardless of the size of your getaway, Della Terra Mountain Chateau can be the ideal home away from home. From cabins to condos to townhomes, they accommodate parties of all sizes and spaces for everyone to relax, get comfy and socialize. You’ll also have access to the Essence Spa Treatment Room, offering massage and body treatments focused on physical and emotional well-being. Even though you’re headed to the mountains, there’s no reason to rough it. 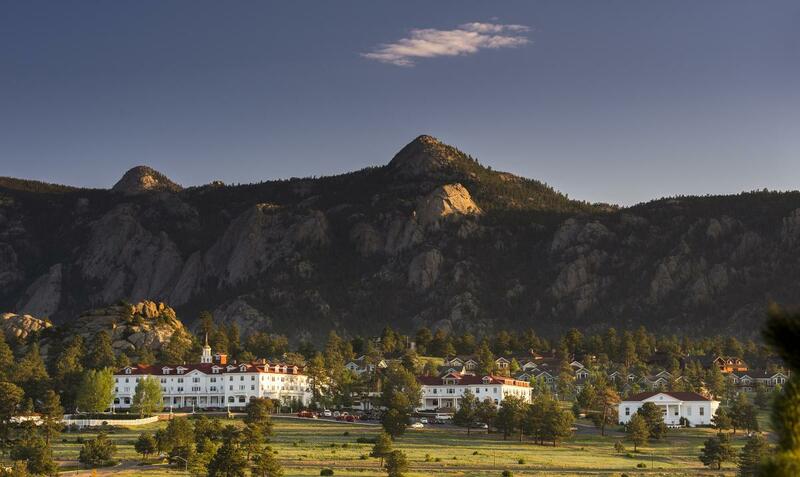 In fact, that might just be your number-one goal when you go on vacation: “Don’t rough it.” If this sounds like you, check out the Estes Park Resort, which is exactly what it purports to be: a resort. Get the full resort experience by enjoying the fine dining at the Waterfront Grille, treating yourself at the spa, or taking some time to yourself on Lake Estes. The Landing at Estes Park, a relatively recent addition to the Estes Park accommodation scene, is my kind of place. Tucked away riverside just minutes from downtown Estes Park, it manages to be both casual but also just extremely nice. 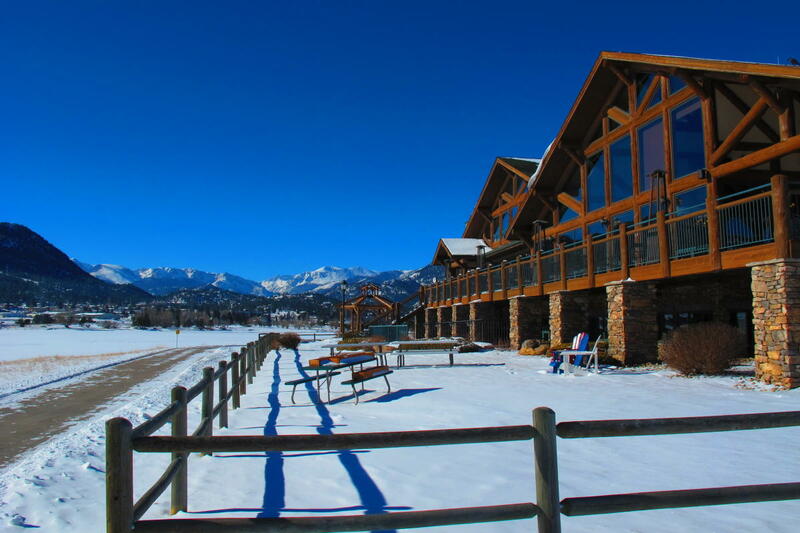 Offering villas and cabins with fireplaces and balconies and river views, the Landing delivers much-needed Estes Park serenity. Live the lodge life without feeling like you’re overdoing it. The Historic Crags Lodge gives you those old-school lodge comforts and indulgences without going overboard. 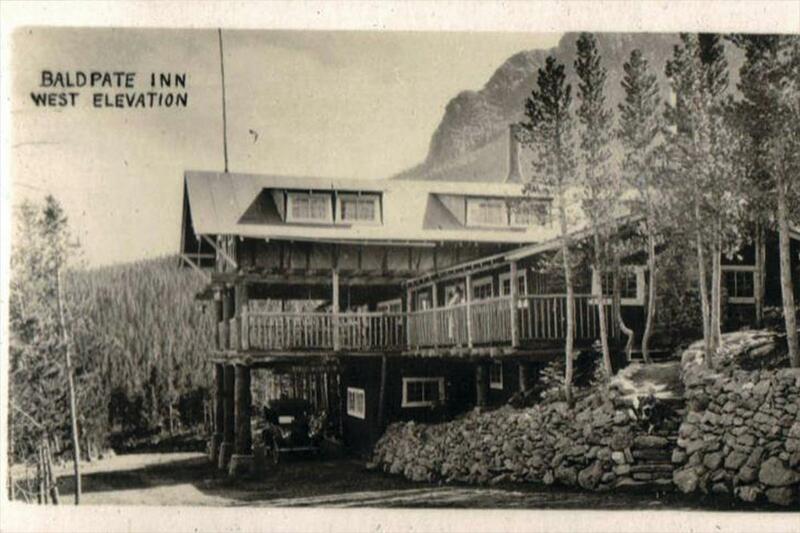 The Crags is a truly classic spot – it was established over 100 years ago in 1914, and it continues to be a favorite place to stay for anglers, hikers, explorers, and pretty much anyone who has a love for the great outdoors. A freelance writer with bylines in Deadspin, Gawker, The Daily Beast, and many other publications, David Obuchowski often covers craft beer, literature, culture, travel, and more. An active and touring musician as well, he regularly scores videos produced by the TED organization, and is the guitar player of Publicist UK, Goes Cube, and many other bands/projects.